Our financing offers make buying a new machine more affordable than ever, but the Hawthorne Cat Difference isn’t just about the sale. Hawthorne Cat, the exclusive Cat® equipment dealer in San Diego, the Hawaiian Islands and the Pacific Region, announces special financing offers on new Cat machines. Receive 0% financing for 48 months with zero down and skip up to four payments when you purchase by January 31, 2017. The offer also includes a complimentary equipment protection plan. 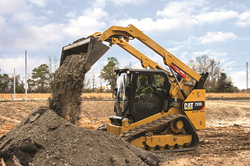 Skid Steer Loaders, Multi Terrain Loaders, Compact Track Loaders, Compact Wheel Loaders, and Mini Hydraulic Excavators qualify for a 3 year/1,500 hour powertrain protection plan. Backhoe Loaders, Small Wheel Loaders, Small Track-Type Tractors, and Telehandlers are eligible for a 3 year/3,000 hour powertrain plan. Visit the Hawthorne Cat website or call 800.437.4228 for complete offer details.